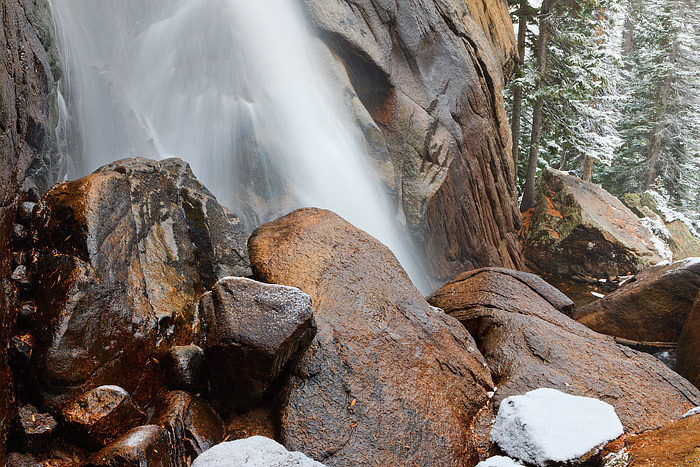 An autumn snowstorm covers Wild Basin and Ouzel Falls with a fresh layering of white. Ouzel has yet to freeze over but the boulders and pines that line the banks of North Saint Vrain Creek are coated with a few inches of fresh snow. Photo © copyright by Thomas Mangan.